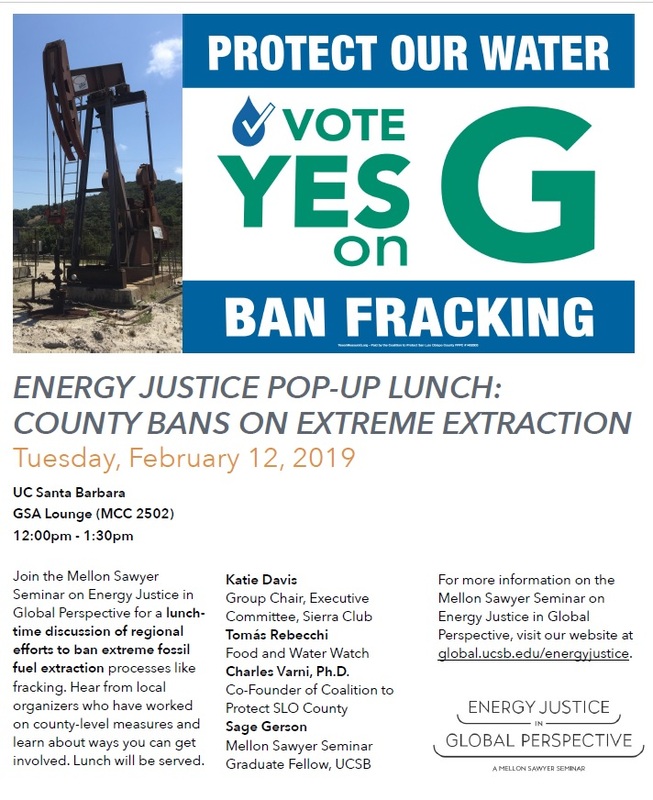 Join the Mellon Sawyer Seminar on Energy Justice in Global Perspective for a lunchtime discussion of regional efforts to ban extreme fossil fuel extraction processes like fracking. Hear from local organizers who have worked on county-level measures and learn about ways you can get involved. Lunch will be served. For more information on the Mellon Sawyer Seminar on Energy Justice in Global Perspective, visit our website..